A power station in North East Lincolnshire has been sold in a £142m deal. British Gas owner Centrica announced on Tuesday that it has acquired Killingholme station near Grimsby. The site, which employs 62 staff, has been managed by creditor banks after a fall in electricity prices. 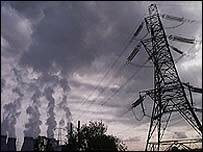 Killingholme was bought by US energy company NRG in 2000 for £390m, having been previously owned by National Power.